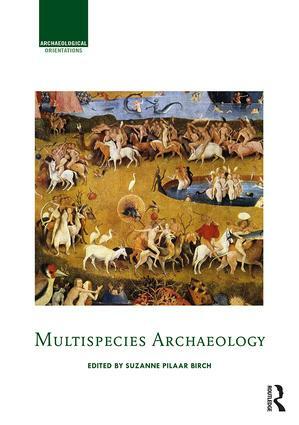 Multispecies Archaeology explores the issue of ecological and cultural novelty in the archaeological record from a multispecies perspective. Human exceptionalism and our place in nature have long been topics of academic consideration and archaeology has been synonymous with an axclusively human past, to the detriment of gaining a more nuanced understanding of one that is shared. Encompassing more than just our relationships with animals, the book considers what we can learn about the human past without humans as the focus of the question. The volume digs deep into our understanding of interaction with plants, fungi, microbes, and even the fundamental building blocks of life, DNA. Multispecies Archaeology examineswhat it means to be human—and non-human—from a variety of perspectives, providing a new lens through which to view the past. Challenging not only the subject or object of archaeology but also broader disciplinary identities, the volume is a landmark in this new and evolving area of scholarly interest. 12. Animals and the Neolithic: cui bono? 13. Making space from the position of duty of care: Early Bronze Age human - sheep entanglements in Norway. Suzanne E. Pilaar Birch is Assistant Professor at the University of Georgia with a joint appointment in the departments of Anthropology and Geography. She combines zooarchaeology and biogeochemistry to investigate changes in diet, environment, mobility, and settlement systems spanning the late Pleistocene and early Holocene.